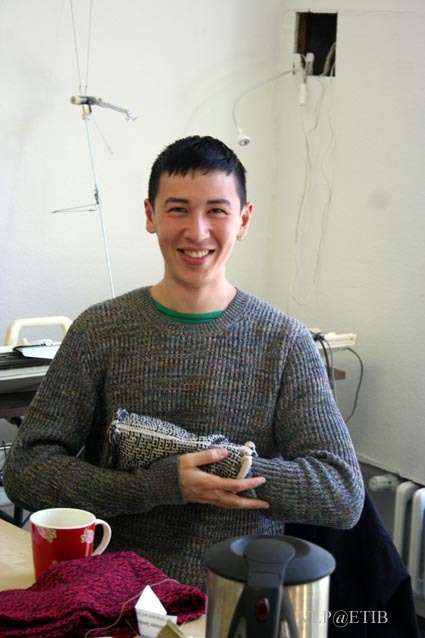 Winston came to visit us on the 14th october after having contacted us about learning to knit and and specifically to learn about machine knitting and it´s limitations. He is actually a painter, look here Winston Chmielinski and is now in Berlin to make a costumes for a perfomative art piece for a dancer. Hopefully after the crash course we´ll see his vision of it in spring! Fabienne, Winston and I chatting and drinking tea.